I was recently talking to a friend about how many toys have passed through my house. Some of them were ones that my kids begged for, got, and then played with once. Some of them were things that they begged for and play with every single day. Some were things I chose, or they got as a gift. Some things they love and I hate. But there are a few things that we can agree on as top toys. (And since I’m shopping for Christmas already, I thought some of you may be, too. 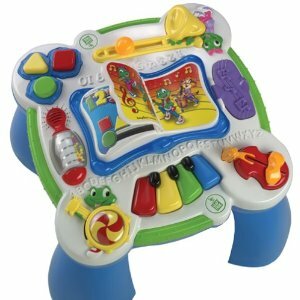 Leapfrog Learning Table – Lots of toys all in one spot. When the big kids were little, they used this more than any other toy. Activity Cube(like you might see in a doctor’s office waiting room) – They no longer make the one we have, but Amazon has a lot of similar choices. Wooden Race Track – Nothing fancy. No batteries. Only a few pieces. Win-win! This is the one we have. But this one looks infinitely cooler(pictured below). Wooden blocks – Plain. Simple. Perfect. 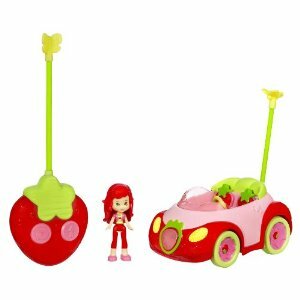 Strawberry Shortcake Playsets – She has the Splash-and-Petal Pool, the Remote Control Car, and Picnic in the Petals. Anything crafty – The girl loves a craft…especially anything that sparkles. 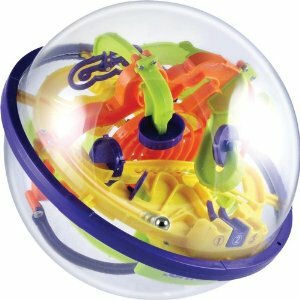 Perplexus Maze Ball – He spent hours working on this thing. So did my dad. And so did I. Although I listed these toys as his/hers, I would like to note that the big kids play fairly equally with all their toys. Despite Marshall’s lack of enthusiasm for board games, the kids and I love them. Lydia: Disney Rummikub – This is a kid version of a grown up game. A lot of fun once they get the concept. Carter: The Dinosaur Game – He LOVES this game. I think it’s meh. Me: Bananagrams – This one is too hard for Lydia, but Carter’s getting the hang of it. 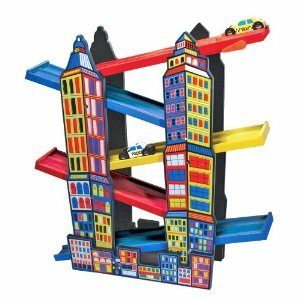 What are some of your kid’s favorite toys?